This entry was posted in Braces, Orthodontic and tagged aligned jaws, braces, Impression, orthodontic visit, overlapping teeth, retainers, straight teeth, thumb sucking, tongue trusting on April 5, 2012 by chzechze. 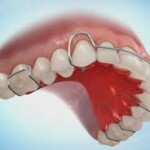 This entry was posted in Oral Care and tagged abutment, bridges, connectors, dental bridges, failure, retainers on April 9, 2011 by SH. This entry was posted in Braces, Orthodontic and tagged Adult orthodontic braces care, aligners, clear braces, crooked teeth, Invisalign, metal braces, oral hygiene, orthodontic braces, retainers on October 8, 2010 by suthalini. 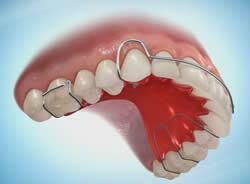 This entry was posted in Braces and tagged active components, baseplate, braces, crooked teeth, orthodontic appliance, orthodontic treatment, retainers, retentive components, tooth movement, wires on September 26, 2010 by chzechze.